This book/series: check – but it’s okay. This little shop sounds like it would be viable in real life; it’s run by family; it sells something that legitimately can be lucrative. This book/series: check – but it’s okay. Normally this is a bad, bad idea – but it works here. The heroine has genuine affection for both men in her life, and it’s handled in a way that feels fairly realistic. 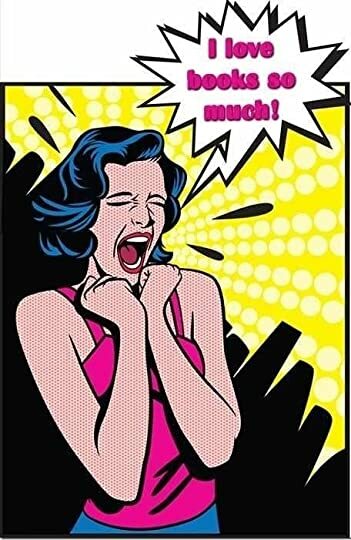 3) Heroine is surrounded by wise-cracking family, friends, and co-workers. This book/series: check – but it’s okay. Because it’s funny. “‘You have a mind like an elephant’s.’ ‘Yeah, wrinkled, gray, and way too much junk in the trunk. But that’s totally irrelephant.’ I rolled my eyes and glared at him. Otherwise, he’d be making elephant jokes all day.” That took the joke and pushed it too far – and it’s so silly I had to smile. This book/series: check – but it’s okay. Because Barbara Early can write. And she can plot. She can throw in a few left turns and wacky bits, and fold it into a story that hangs together and comes to a satisfying conclusion. This book/series: check – but it’s okay. Because these characters have a depth that you don’t usually see in a light read. The family that runs the toy shop at the center of the series has a legitimate history, and it’s not all Norman Rockwell and jokes. These folks have been through stuff, and Barbara Early obviously feels a real warmth towards them. The beauty is that she writes them so well that I do too. 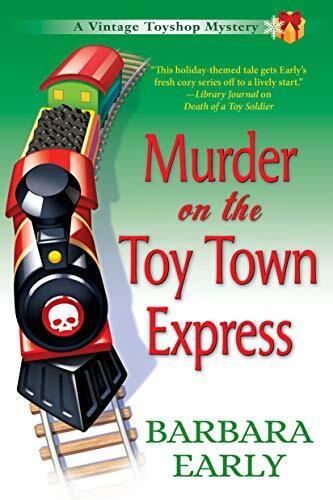 This entry was posted in books, mystery and tagged Barbara Early, Murder on the Toy Town Express, NetGalley, Vintage Toy Shop. Bookmark the permalink.